Down the road from Beyrouths (more on this place another time) and next door to The Indigo Tree lies Brooks & Gao, a rustic coffee shop where we visited for lunch and forgot to try out the coffee. 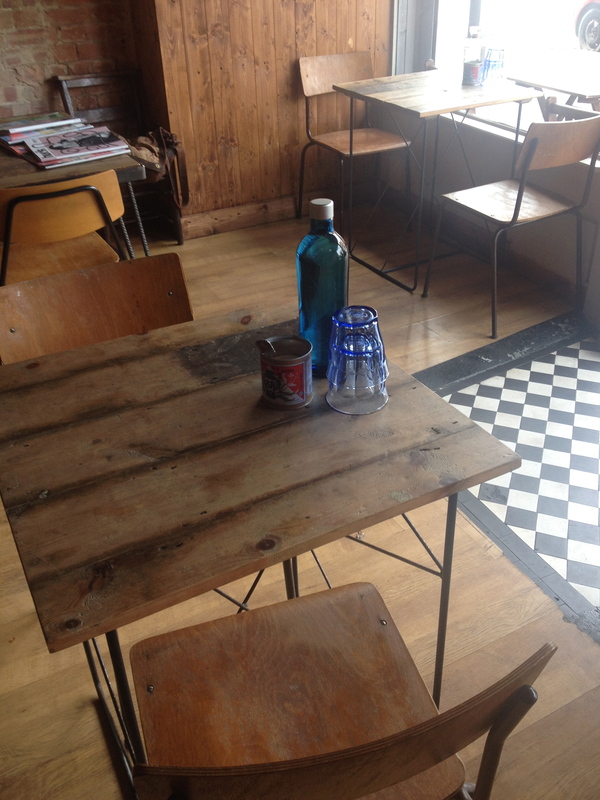 The decor is typically rustic, with exposed brickwork the main feature, and blackboards featuring the specials. Mismatched bottles of tap water are readily available on each table. While we can’t comment on the coffee, everything else they had to offer would happily satisfy a hungry belly. It’s not the place for a typical brunch so don’t come here expecting eggs benedict. 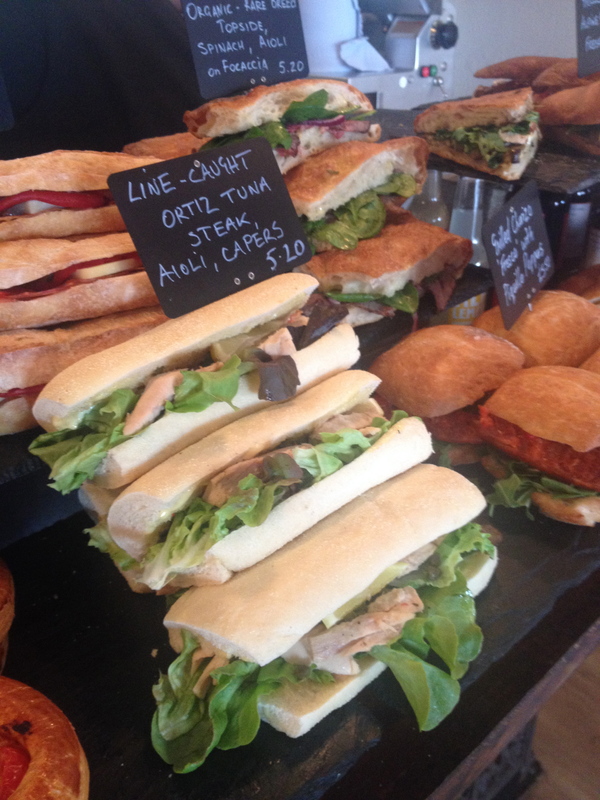 However they serve a mean doorstop sandwich, whether you like a foccacia or ciabatta with your filling. We tried the grilled limo pork loin, manchego cheese and piquillo pepper baguette (£5.80) and organic rare breed topside, spinach and aioli on focaccia (£5.20). 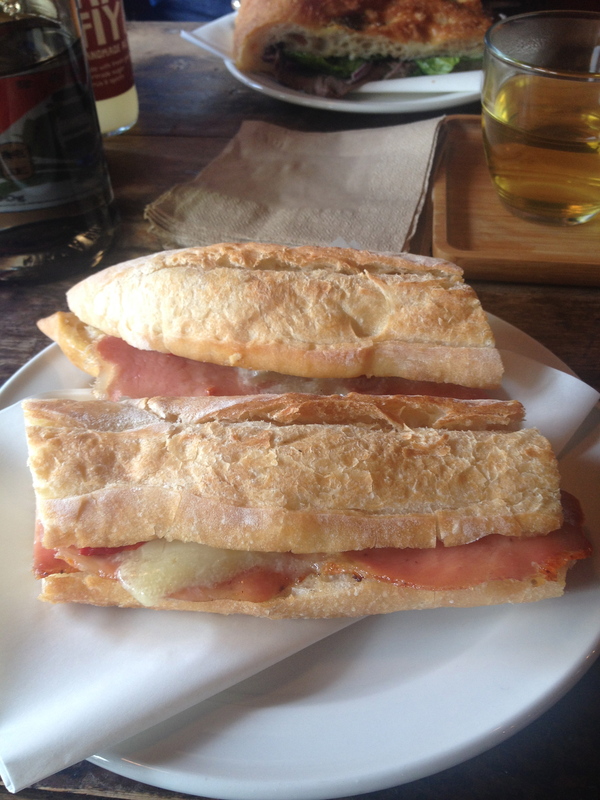 They heat up your sarnies before serving and the ingredients are lovely and fresh – it’s served crisp but not burnt a la Caffe Nero or Starbucks. 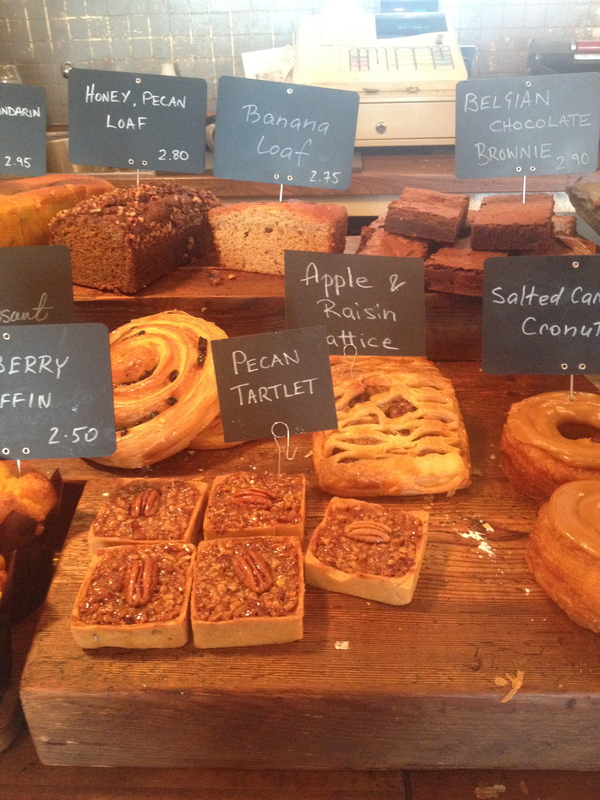 They also serve generously sized slabs of sweet loaf, along with brownies, tarts and cronuts…the list goes on. It’s a very family-friendly environment; the majority of customers had small babies but it’s welcome to young couples, too. 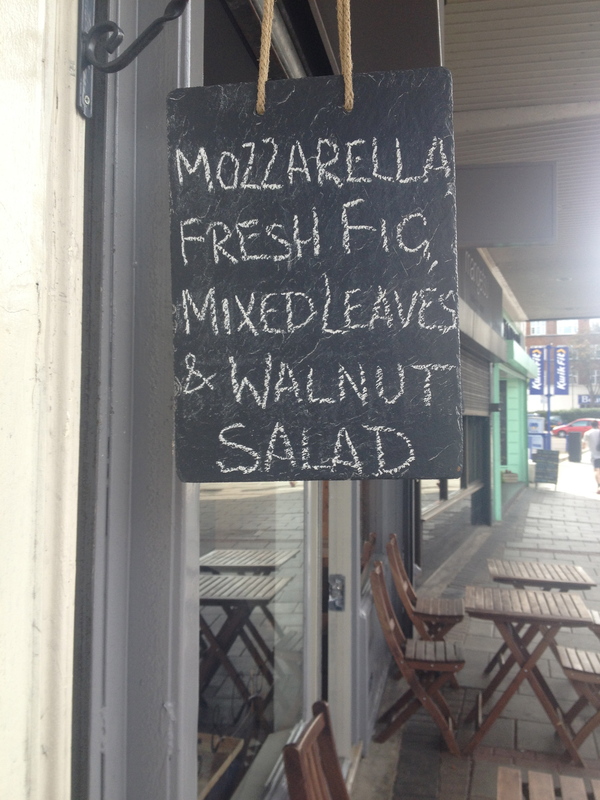 If you visit anytime soon order the fig and green salad – the customers sat next to us tucked into a large plate of it, complete with mozzarella and balsamic vinegar – food envy! 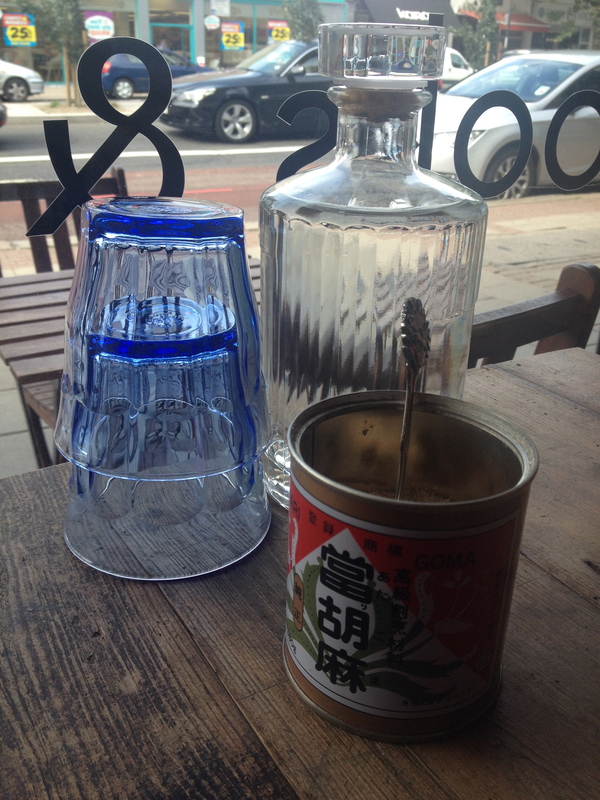 Just one thing let it down – the peppermint tea was served with a glass tumbler. 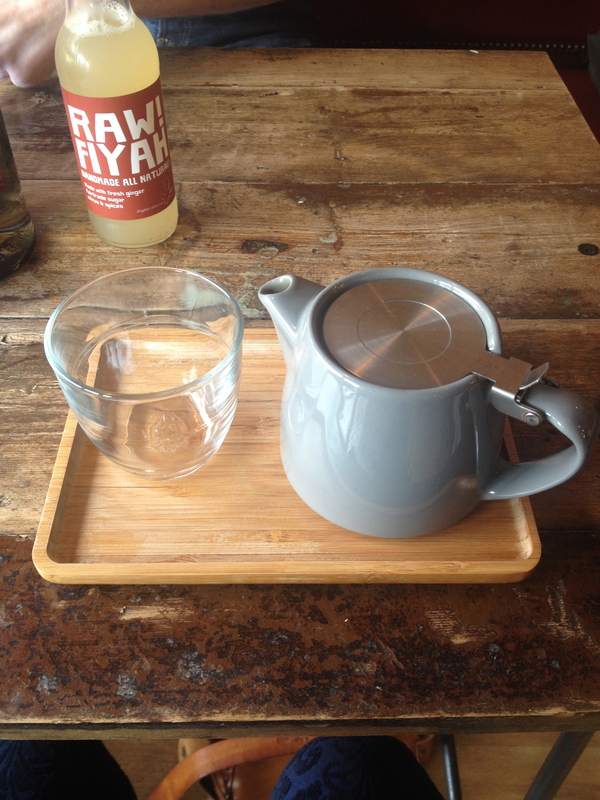 Call us old fashioned, but what’s wrong with a good tea cup?